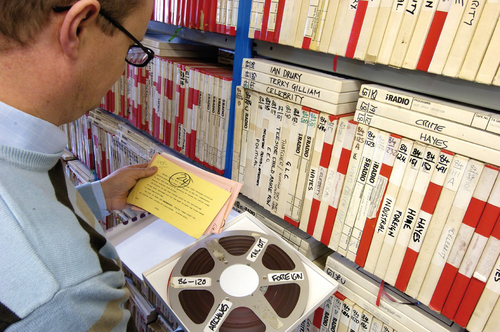 The future of Britain’s broadcast archives will be discussed at a high profile summit next month, attended by representatives from the BBC, British Library and other industry and radio research communities. The event, chaired by former Chief Executive of the Radio Authority Tony Stoller CBE, has been orchestrated by a group of researchers at Bournemouth University, who firmly believe the lack of formal archive policy creates severe access difficulties and restricts use of these valuable historic resources. Although Bournemouth University’s Centre for Broadcasting History has carried out significant work in recent years to digitise and widen access to commercial archives, the BBC presently maintain exclusive rights to their own. “Historic radio captures our past in an extraordinary and unique manner. Comedy, news, drama, phone-ins all provide an audio history which really brings the past to life. Teachers, school children, academics and broadcasters can all learn from collections which are currently inaccessible,” said Hugh. The event takes place on Thursday 15 December at the British Library, where Bournemouth University’s Kristin Skoog and the University of Portsmouth’s Ieuan Franklin will present a report outlining the current state of UK broadcast archives and the best solution for the future. Bournemouth University’s role in lobbying this change has grown out of extensive research by the Centre for Broadcasting History. In 2009 the group launched the UK’s first online commercial radio sound archive, preserving over 3,000 hours of LBC/Independent Radio News (IRN) from 1973 to the mid-1990s. The searchable recordings include the first hour of UK commercial radio in 1973, coverage of five UK general elections and the end of apartheid. PCCC win prestigious industry research award!